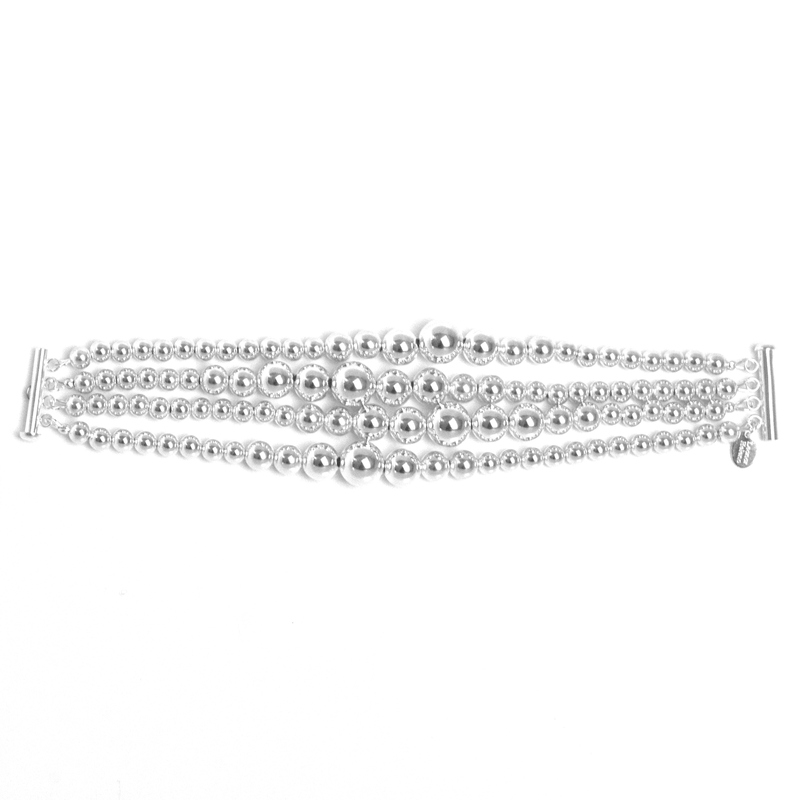 This braclet will get you the remarks of friends everywhere you go, asking is it Silver?! 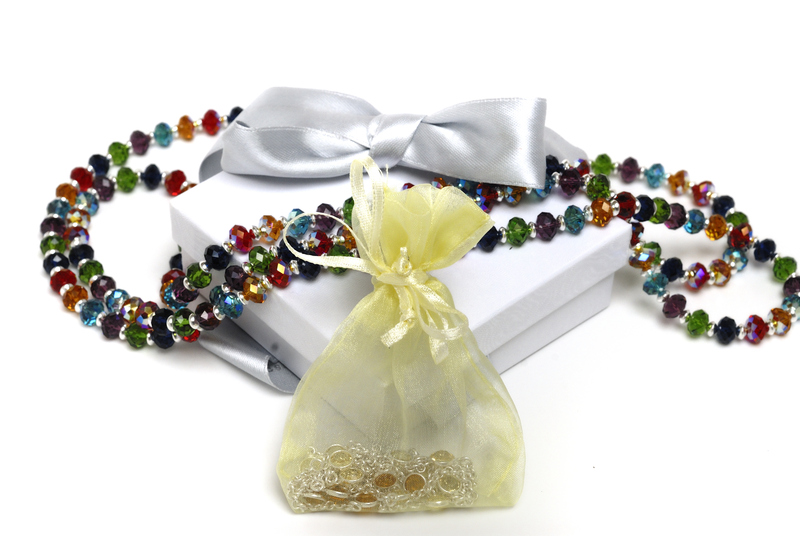 And yes, it 4 beautiful bracelets of sterling silver beads. 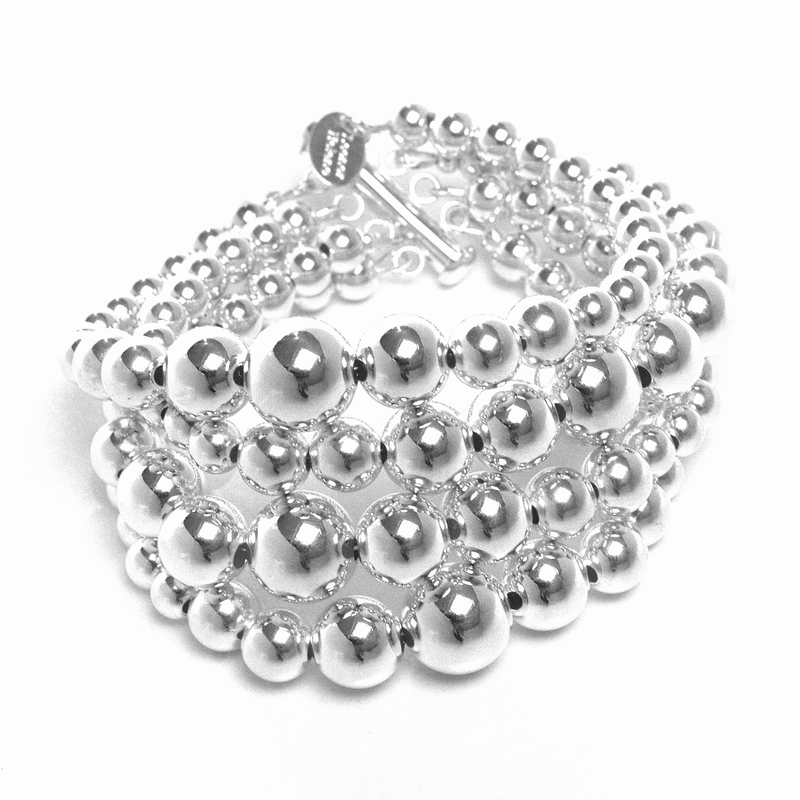 It is versatile, modern, and slightly exuberant; this is a real Silver Extravaganza!! Beads are sized between 6mm and 12mm. This is a fantastic value for money! The size can be modified on request.